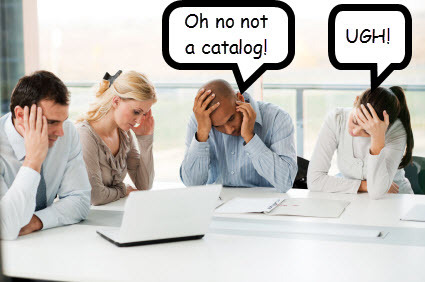 Have you ever selected office furniture from a catalog? I have and it’s not fun. The process usually goes like this – you comb through catalog after catalog searching for the furniture style you are looking for. Once you find the style the real fun begins. Now it’s time to begin the search for parts and pieces. If you are lucky enough you may be able to find someone that will draw your design in a black and white space plan program showing a rudimentary outline in 3D and a 2D top-down perspective. This allows you to see the basics of what you may decide to purchase. However, if you want to make changes to your office layout the clock starts all over. Now you are left waiting for a new design to get redrawn. Waiting for the design to be redrawn may take 1 to 5 days, and sometimes even longer. Many people accept this as business as usual. This does not need to be the case. Interior Concepts is changing the rules. We allow you to be in control of the design process. It’s amazingly easy, saves you time, and you know exactly what you’re purchasing. You can have your office designed right down to the inch and it’s ready to be manufactured within minutes of getting online with one of our talented designers. Give Interior Concepts a call to schedule a web conference online. Design your space online with our interactive quoting software. Once the design is finished we can send you layouts and virtual tours to share with others involved in the purchasing decision. Select your colors and place the order. Relax and enjoy stress-free work knowing you do not need to wait for another incorrect drawing revision to come back to you. Visit the testimonials section to see profiles on successful installations throughout the country. If you’re ready to try our interactive software for your next project contact us at 800-678-5550 to get started.